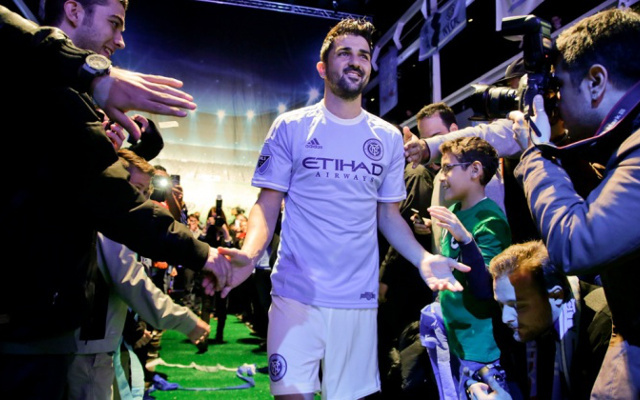 Former Barcelona striker David Villa, who now plays for MLS side New York City, has been listed amongst the nominess for the MLS Goal of the Week. Villa’s goal capped an awesome team move, as some slick build-up play allowed the striker to dribble the ball into an unguarded net. Unfortunately for Villa, New York City went on to lose 2-1 against the Philadelphia Union and have now slipped down to seventh place in the Eastern Conference with just one win from their five games so far. Villa’s effort was joined by a brilliant long range strike from Colorado Rapids’ Dillon Serna, Perry Kitchen’s low drive for DC United, Rob Lovejoy’s curler for the Houston Dynamo, and a bizarre chested goal by Orlando City’s Cyle Larin. Check out the video – courtesy of mlssoccer.com – below. Which was your favourite?